Are you struggling with a design for a difficult area of your garden or do you just need something a little out of the ordinary? Have you considered using a modular timber system such as WoodBlocX? Other options in these situations – such as old railway sleepers – could struggle with the dimensions that your ideas require. Modular systems are almost infinitely adaptable and can create designs that you might find surprising. The beauty of modular systems is that they can be tailored to almost any situation. Perhaps there is a narrow passageway or awkward corner that needs some plants to brighten it up? 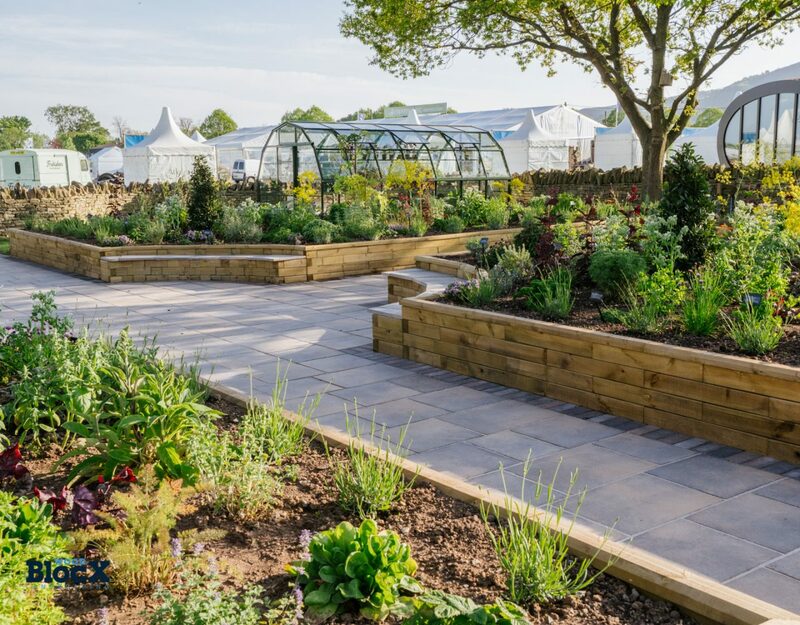 The WoodBlocX product is narrow in itself, unlike bulky sleepers, so raised beds built with the system provide much more planting space. Each component is also easy to get into the garden because they are light, clean, small and easy to move in awkward spaces – great if you have to take all the materials through your house. Modular timber systems can also be used to create a wide range of shapes – not just squares and rectangles. Circles, hexagons, pentagons and octagons are all available in the pre-designed kits, or you can specify exactly what you need. They are cheaper too, especially when it comes to curved designs that would otherwise have to use stone or brick, and are all guaranteed for at least 15 years. Corner beds and L-shapes are easily achievable too. This is not just for raised beds either – ponds, steps, walls (perhaps with inbuilt seating) and garden edging are all much simpler to install with a modular system. Perhaps your garden needs a multi-level design? 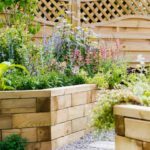 Terracing and stepped beds made from sleepers, brick or stone can make the expense (and the weight) really add up; but modular timber systems provide a durable alternative at a much lower cost. They are easy to put together too – there’s no need to hire builders to do it for you, which will also save you a lot of money. If you are working with an awkward area, off-the-shelf products and fixed dimensions may not work for you. WoodBlocX offer a design service for all of their products, so that you can create a bespoke project for your unique requirements. Better still, this service is entirely free and you have no obligation to buy. Alternatively, try the online calculators on the WoodBlocX website – just put in the measurements to get an idea of what you will need and the cost. Perhaps you want to create an inspiring play area for your children, or a tree house – well, WoodBlocX have been used to build pirate ships and a model elephant over 6ft tall. Really the only limit is your imagination – WoodBlocX would love to work with you to create something amazing!